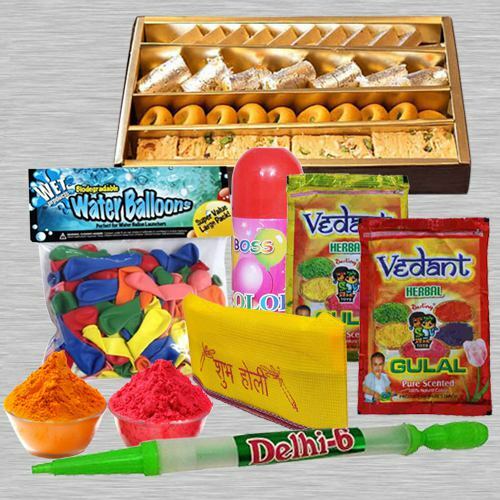 Send Holi Gift of Nicely Wrapped Holi Hamper containing with one pack of water colour, one pichkari, one holi cap, two packets of gulal, one packet of water ballons with 500 gms. Assorted Sweets. and free Gulal/Abir Pouch. Send this Holi Gift anywhere in India. This is a special Holi gift to make your loved ones happy.